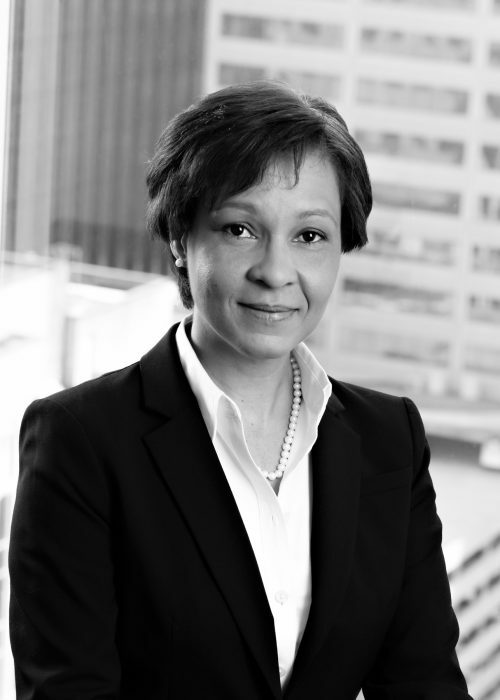 W. Rosalind Eastmond joined Dutton Brock in 2013. Her practice is focused on insurance defence litigation in first party accident benefit claims. She has made appearances before the Licence Appeal Tribunal, Financial Service Commission of Ontario and before the Superior Court of Justice. Rosalind takes a keen interest in claims relating to coverage, priority disputes, loss transfer and misrepresentation of claims. Rosalind received her LLB from The University of the West Indies in 1986, attended Sir Hugh Wooding Law School and was called to the Barbados Bar in 1990. For several years, she has represented clients at all levels of Court in Barbados in Criminal defence. Her practice in Barbados also focused on civil litigation including Tort personal injuries, Family law, Estate and Succession Law. Rosalind received the Federation of Law Societies of Canada National Accreditation and was called to the Ontario Bar in 2012. Before joining Dutton Brock, Rosalind practiced at a boutique Personal Injury firm where she gained experience in Plaintiff accident benefits claims, Tort vehicular negligence and Occupiers Liability personal injury claims. Rosalind enjoys cricket and participates in Caribbean cultural and diaspora events.